It is the year 3017 A. F., and Cameron is a neo-cowgirl living contently on her farm beside the sea in the dangerous, post-apocalyptic deserts of Arizona, a world where Earth has for the most part been swallowed by the rising sea levels after what became known as The Great Flood. Cameron survives the harsh life in the Outer Zone by casually shooting those scavengers who threaten and bully her. With biker gangs roaming the desert sands, the world has made her rough and ruthless, and it is her rough nature that nearly kills the gentle and compassionate alien who washes up near her farm. Through Qorth’s love, Cameron learns to soften her frayed edges. 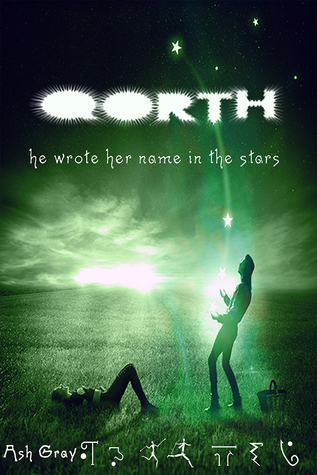 But will Qorth learn to engage in the casual cruelty that is his only key to surviving her world? Can beautiful things survive a cruel world? Talithia is a land known for its legendary heroes, magickal and powerful people whose great steps shook the world and shaped history itself, but few people ever hear how legends are born and under what strange circumstances their parents have met. Though the parents of great heroes know heartache and hardship like all characters do, none of their stories end in tragedy. For unlike other places and far-off peoples and their tales, there are no sad endings in Talithia.